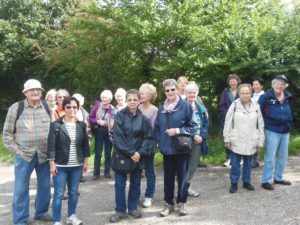 These walks start promptly at 10am from YMCA Wimbledon, so walkers are advised to meet in the YMCA reception area 10 minutes earlier. Road bus station) and then the 57 bus back to Wimbledon. Along a level path beside the river with potentially muddy parts. From Wimbledon station we travel by tube on the District Line to Earl’s Court and then the Piccadilly Line to Boston Manor. The route follows the Grand Union Canal to Brentford Lock then crosses Syon Park where there will be a refreshment break. On leaving the park the walk passes through Isleworh and then follows the Thames to Richmond. Return to Wimbledon is by train or bus from Richmond. Partly on towpaths and grass which can be muddy. 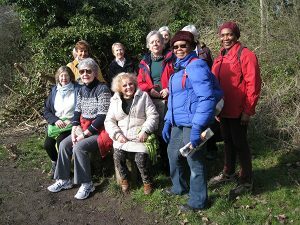 This popular walk follows the course of the Beverley Brook from New Malden to Putney. The route includes Wimbledon Common, Richmond Park (where there will be a break for refreshments at the café near the Roehampton Gate), Palewell Common, and Barnes Common. The walk is about 7 miles long but there are drop out points by bus from the Upper Richmond Road and by train from Barnes. The route includes paths which can be muddy. Travel to the start of the walk is by train from Wimbledon Station to New Malden and the return from Putney is by the 93 bus to Wimbledon.